system that's just right for your home. We offer 24/7 emergency heating and cooling repairs. Better for the earth, better for your budget. Get an INSTANT estimate on your system! Use our pricing calculator to estimate the cost of your replacement. Ernst Heating & Cooling offers professional heating and air conditioning services throughout Metro East Illinois. We also offer emergency repair services! 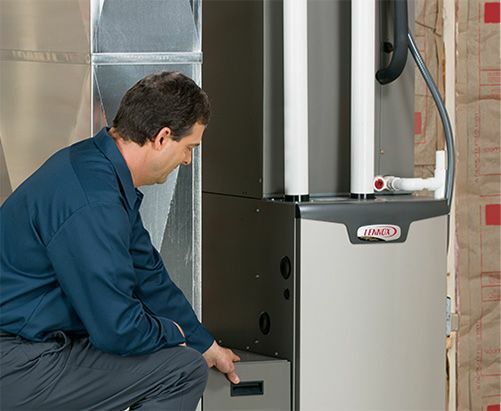 From routine heating and AC tune-ups to replacements and more, we do it all. Our heating and cooling company has served local residents for half a century. You may recognize one of our vans the next time you are in the Metro East area. We also serve Hamel, Greenville, Edwardsville, Highland, and Maryville. Contact us online or call (618) 887-6093 for AC repair, furnace services, heat pump services, and more! When you’re searching for a qualified heating or air conditioning contractor in Metro East Illinois, you need someone who can get to you quickly. Ernst Heating & Cooling will send out an HVAC tech to you within hours for emergency service on your furnace, heat pump, or air conditioner! You don’t have to wait for days for a technician to come to your door. Because we’re local, we take care of your needs in just hours! We serve the Metro East region, including Hamel, Edwardsville, Highland, Greenville, Maryville, and surrounding areas. Ernst offers 24-hour emergency heating and AC repair services in the Metro East region, including Hamel, Edwardsville, Highland, Greenville, Maryville, and the surrounding areas, 365 days a year. Call 618-887-6093 any time, day or night, and you’ll speak to a live representative who can send out an HVAC contractor immediately. We repair any make or model of HVAC system, whether we installed it or not. Regular HVAC maintenance helps keep your heating and cooling system operating at its highest efficiency. 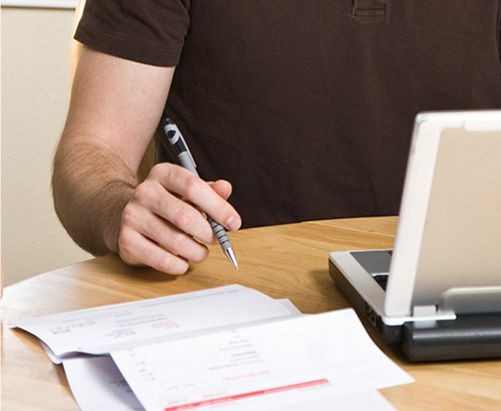 At Ernst, we offer Energy Savings Agreements to help you save! 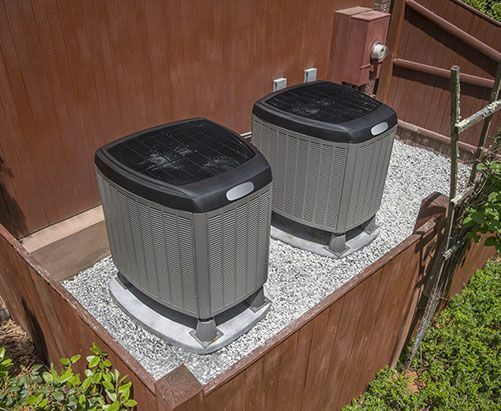 Two precision HVAC tune-ups a year (one on the air conditioner, one on the furnace). Automatic scheduling of HVAC maintenance appointments. Peace of mind knowing that you have done everything you can to reduce the risk of a major breakdown! Why Choose Ernst for Heating & Cooling Services in Metro East Illinois? We spend time with you. Our HVAC company will make sure that you understand the system we’re installing, how long it will take, and how much it costs—and why. They will also present options to you if applicable. We are heating and cooling experts. 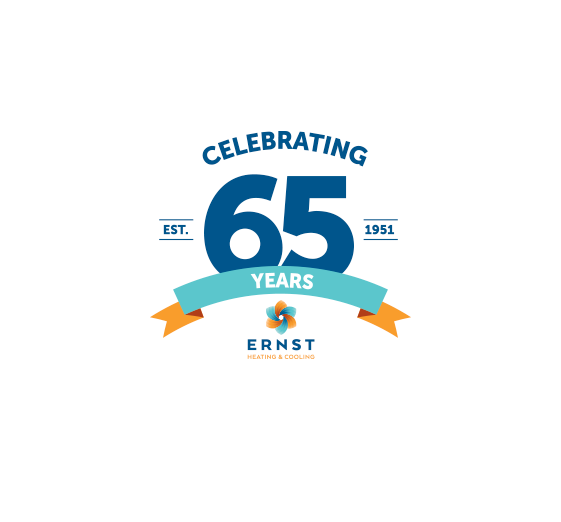 Ernst’s HVAC installation technicians go through a minimum of one hour of training a week to help them stay on top of new technologies, HVAC trends, and new ways to help our clients. We are innovative. Ernst Heating & Cooling was the first in the in the Metro East region, including Hamel, Edwardsville, Highland, Greenville, Maryville, and surrounding areas, to offer geothermal energy systems, and we are always striving to be at the forefront of the HVAC industry. We offer financing options. We have several plans available through reputable national companies to help finance your HVAC replacement on your new furnace, new heat pump, or new air conditioner. Ernst Heating & Cooling is proud to offer our friends and neighbors top quality heating and cooling services in the Metro East region, including Hamel, Edwardsville, Highland, Greenville, Maryville, and surrounding areas. Call Ernst at (618) 887-6093 or schedule a service appointment online! Geothermal energy works like no other HVAC system you’ve ever seen. Energy savings can range from 20-30%!